You are not required to provide any personal information to us unless you choose to make a purchase or sign up for one of our e-mail newsletters or other services. As a valid credit or debit card is required to make a purchase through the Golden Cruise website. In order to book travel with Golden Cruises, you must provide us with certain personal information such as your name, credit or debit card number and expiration date, credit or debit card billing address, your telephone number, your e-mail address and the name or names of any person(s) traveling with you. We require this information so that we can process, fulfill and confirm your reservations and transactions and keep you informed of their status. If you are making a reservation for one or more other travelers, you will need to make sure that each of these other travelers agrees, in advance, that you may disclose their personal information to us. For your convenience, we make certain information about your reservation available to you or other persons authorized by you to receive such information. When you book travel with us, you must provide us with a contact telephone number. We will use that telephone number in the event that we need to inform you of changes or other matters that may affect your booking or trip, such as changes due to flight delays, inclement weather, and cancellations. We may use text messages to provide you with such updates. When you provide us with a mobile telephone number as the contact number for a trip, you agree that you are providing us with your express consent to receive calls or text messages from Golden Cruises related to your booking. If you do not wish to receive these trip updates on your mobile phone, please provide us with another telephone number. Golden Cruises values opinions and comments from members, so we frequently conduct online surveys. Participation in these surveys is optional. Typically, we collate the information we collect and use it to make improvements to the Golden Cruises Service and to develop content, features and promotions for customers. Survey participants are anonymous unless otherwise stated in the survey. We automatically log generic information about your computer and your computer's connection to the Internet, which we call "session data". Session data consists of things such as device information, IP address, operating system and browser software information, and all the activities conducted by the user while using Golden Cruises. An IP address is a number that lets computers attached to the Internet, such as our web servers, know where to send data back to the user, such as the pages of the site the user wishes to view. We collect session data because it helps us analyze such things as what items visitors are likely to click on most, the way visitors are clicking through the site, how many visitors are going to various pages on the site, how long visitors to the site are staying and how often they are visiting. It also helps us diagnose problems with our servers and lets us better administer our systems. It is possible to determine from an IP address a visitor's Internet Service Provider (ISP) and the approximate geographic location of his or her point of connectivity. Most web browsers automatically accept cookies. By changing the options on your web browser or using certain software programs, you can control how and whether cookies will be accepted by your browser. Golden Cruises supports your right to block any unwanted Internet activity, especially that of unscrupulous websites. However, blocking our cookies may disable certain features on our site and may make it impossible to purchase or use certain services available on the site. Please note that it is possible to block cookie activity from certain web sites while permitting cookies from sites you trust, like Golden Cruises. We may allow you to access third party services, such as Facebook and Twitter, that enable you to share your selected Submitted Content with those services, and import information about who you are connected with on those other services so you can connect with them using our service. Some of those third party services may also provide us with information from your accounts, and are there to enhance and personalize your use of the Golden Cruises Service. For example, you can allow Facebook to tell us who your Facebook friends are so you can follow their activity. You can, at any time, adjust your Facebook settings to remove this feature, by changing your preferences on the site. You can also further modify your privacy settings with those other services directly. If you use our location-enabled products and services you may be sending us location information. This information may reveal your actual location, such as GPS data, or it may not, such as when you submit an address to look at hotel choices in that location. We use your location information to process and personalize your requests, such as by pre-filling the city name when you are searching for a nearby hotel. We also use location information for support, to develop new features, a better user experience and to improve the overall quality of Golden Cruises. 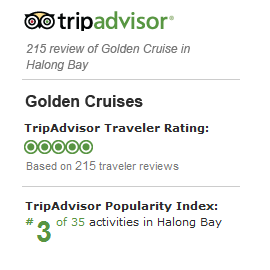 From time to time we may add or enhance services available using Golden Cruises. To the extent these services are provided and used by you, we will use the information you provide to facilitate the service requested. For example, if you email us with a question, we will use information such as your email address, name and the nature of the question, to respond to your question. We may also store such information to assist us in making the Golden Cruises service better and easier to use. In addition to the circumstances described above, Golden Cruises may disclose personal information if required to do so by law, court order, as requested by other government or law enforcement authority, or in the good faith belief that disclosure is otherwise necessary or advisable including, without limitation, to protect the rights or properties of Golden Cruises or its affiliated companies or when we have reason to believe that disclosing the information is necessary to identify, contact or bring legal action against someone who may be causing interference with our rights or properties, whether intentionally or otherwise, or when anyone else could be harmed by such activities.